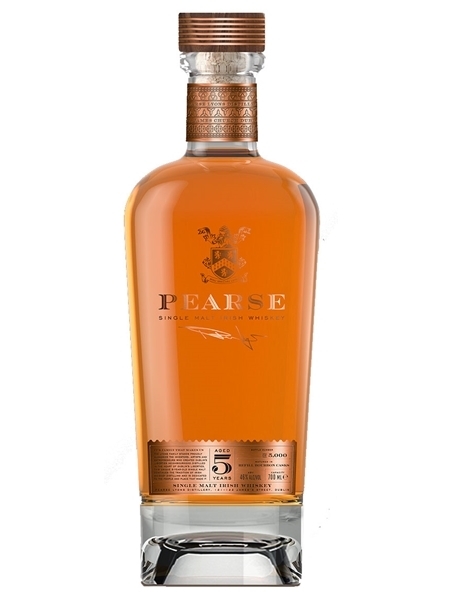 The Pearse Lyon's Distillery was founded by Pearse Lyons (RIP) and his wife Deirdre and is located in the converted St. James's Church on James's Street in Dublin. While the first spirit flowed at that location in 2017, you have to go back to 2012 in Carlow to understand how they come to release this 5 year old single malt distilled on their own stills. In 2012 two Kentucky stills made their way across the Atlantic and were relocated at the Carlow Brewing Company, where O'Hara's beer is made. Distilling began there in November while the search for the home of Pearse Lyon's distillery began. In 2013, the old St. James's Church in Dublin was the chosen site. Lyon's ancestors had been buried in the cementary there. Shortly after acquiring the site the building became listed and renovation complicated. In the end, it was a 4 year process, and well worth the effort as the result is spectacular. The same two stills have now been relocated to St. James's. The wash still is a conventional pot. The spirit still, however, has a rectifying column in place of the usual swan neck. This 5 year old whiskey is a single malt which has been double distilled and matured exclusively in ex-bourbon barrels. It is natual colour, non-chill filtered and has been released at 46% ABV.